Everyone is talking about video marketing lately. What once was something that secured you “cutting edge” status has become more of a necessity in marketing. 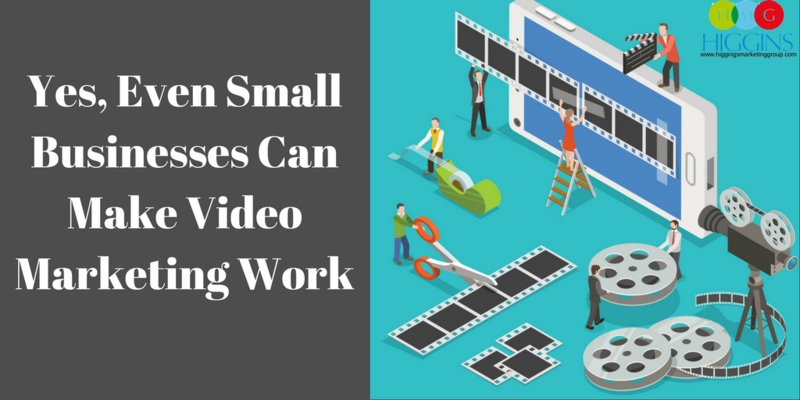 Small businesses simply can’t afford to ignore video any longer. You might be thinking, But don’t I need a lot of equipment to take high-quality videos? I don’t know the first thing about cameras or how to put together a video project. Where am I going to find time for a video shoot anyway? All of these are valid concerns, but we promise, even a small business owners and marketers can pull this off. You can’t have missed the fact that videos are popping up seemingly everywhere. They’re on social media, on your favorite websites, even in your emails! This isn’t an accident. Marketing experts and savvy entrepreneurs have discovered that videos can be a game changer when chasing conversions. First, consider how often videos are being viewed. Between YouTube, Facebook and Snapchat alone, there are more than 22 billion video views each day. Now take these stats for a whirl. Emails that include a video see a 200 to 300 percent higher click-through-rate than those without, and websites with videos on their landing pages enjoy about an 80 percent higher conversion rate. With numbers like that, it’s not hard to see why everyone is so eager to incorporate video into their marketing strategy. 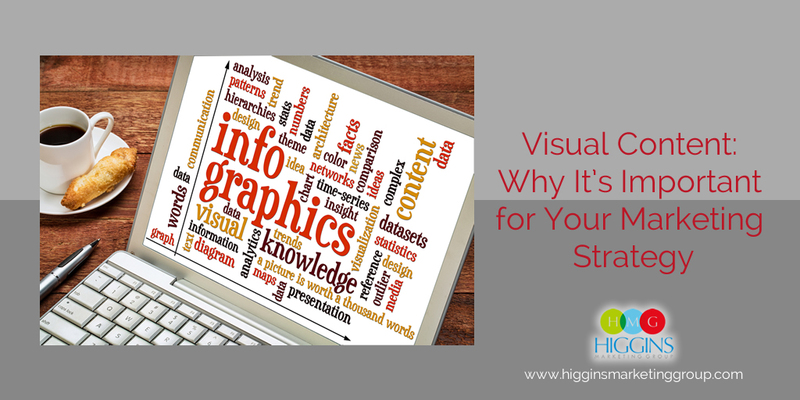 The idea of video marketing probably seems intimidating to you, and we get why. Rest assured you don’t need a $500+ camera and a production crew to create quality videos that will engage your customers and get you those conversions. That’s it. Really! The camera on your smartphone has come a long way, and it’s plenty capable of capturing crisp HD videos. That’s one thing you already have, so no new money spent. We do recommend you invest in a microphone, though. You’re going to want clear, clean audio for your videos, and the microphone built into your phone is going to have a hard time delivering that. Without a microphone, you’re camera/phone is going to need to be very, very close to your subject to pick up a clean sound, and that’s just going to result in a video with great audio and poor visuals. A tripod is also a good idea to ensure you get a steady image. If you’re just holding the camera in your hands, you’re going to end up with something a little shaky, which can be distracting to viewers. You can find inexpensive (but decent quality) microphones and tripods on Amazon, so don’t worry about breaking your budget. Keep it short. We humans don’t have much of an attention span. Depending on the objective of the video, somewhere between 30 seconds and 2 minutes is where you want to stay. Incorporate still images. A little variety is good. Add still images here and there to break up the monotony. Include a call to action. Yes, your videos need a call to action, too. Communicate clearly what you want your audience to do once the video stops playing. Create value for your customer. Don’t shoot video just for the sake of shooting video. Make sure your video truly serves your customer by answering their questions, giving them a closer look at your product, etc. Tell a story. All great marketing efforts tell a story, and the same should be true of your videos. Use the basic structure of introduction, conflict, climax and resolution to create a story for your video. Keeping up with the latest trends in digital marketing is going to ensure that your small business stays both relevant and competitive. Video marketing is that next big thing, and the sooner you start taking advantage of it the better. 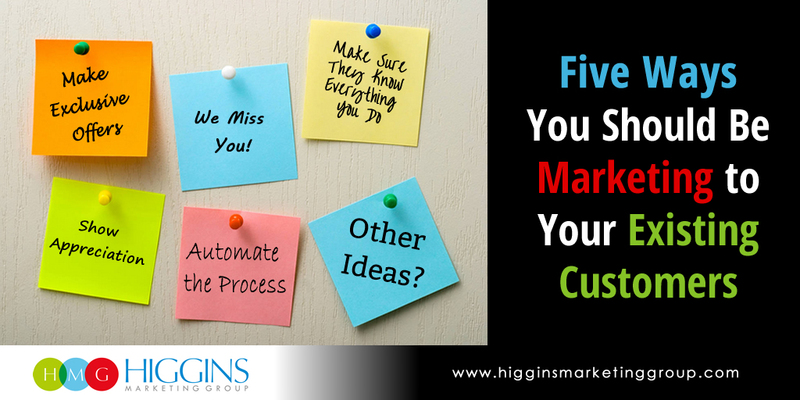 If you need help with video or other areas of your marketing strategy, such as paid advertising, web design or SEO strategies, team up with Higgins Marketing Group. Our marketing experts know how to get results and are committed to helping you achieve your business’ goals. Contact us today to get answers to your marketing questions or to set up a consultation. Don’t forget to follow HMG on Twitter, LinkedIn, Facebook, or Google+ and make sure to share this post via the social media icons below! 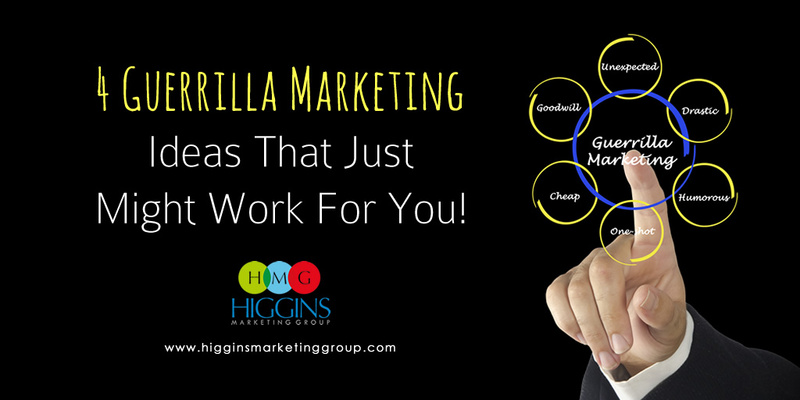 4 Guerrilla Marketing Ideas That Just Might Work For You!